This is a huge MAGNETIC chalkboard! 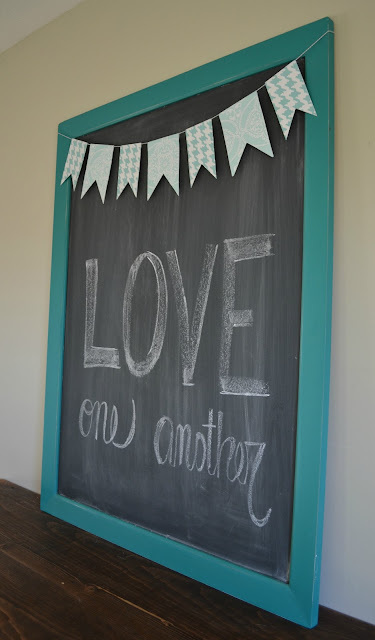 Painted in Annie Sloan Florence. Can be hung vertical or horizontal. 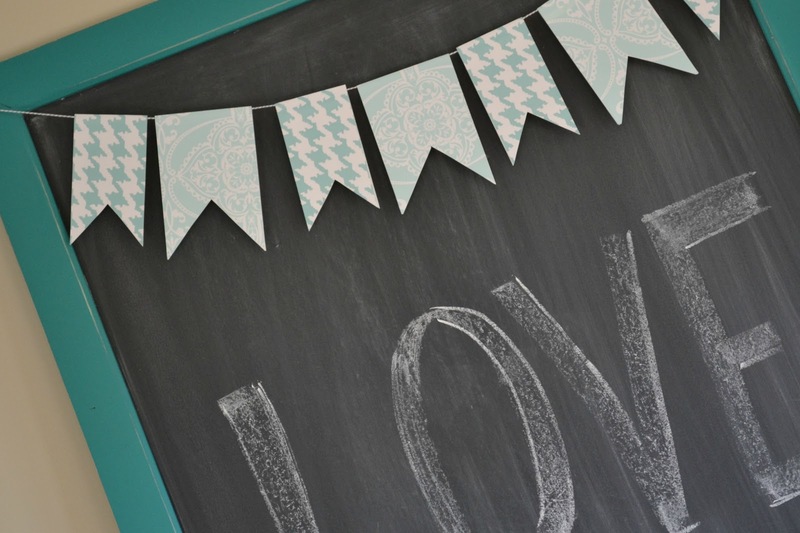 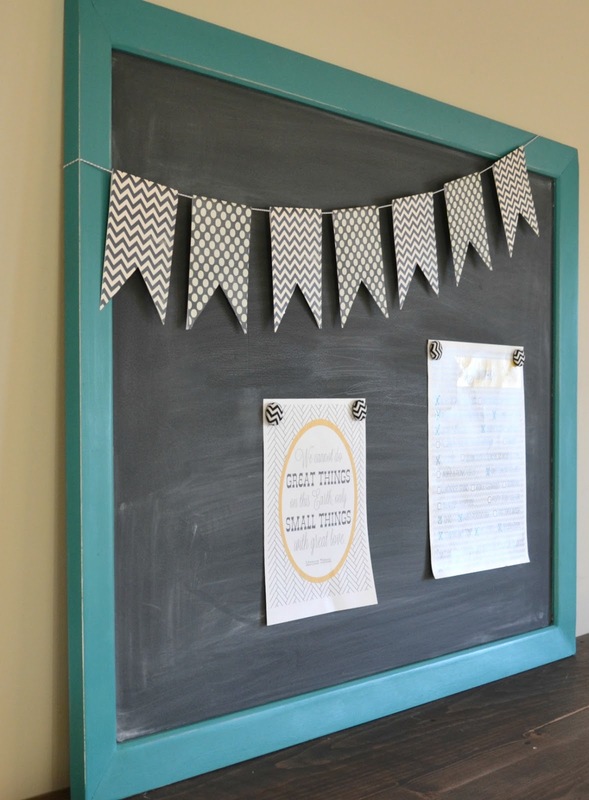 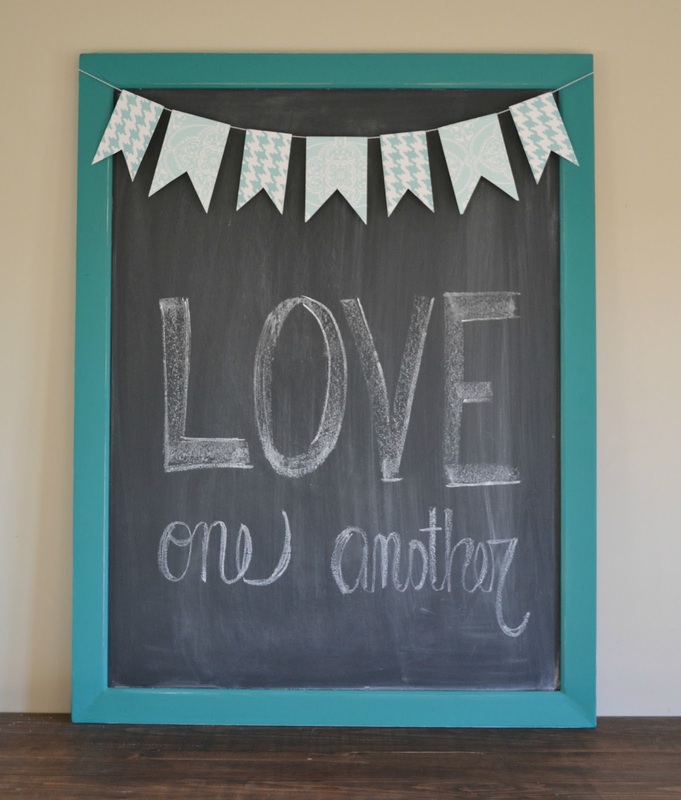 Used as a magnetic board of chalk board. 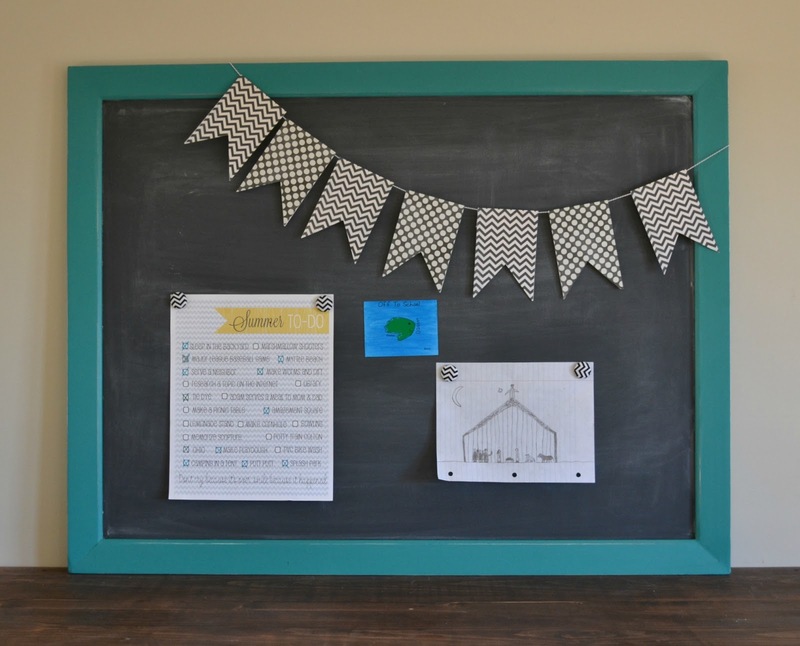 Perfect place to display the masterpieces made by your little ones! 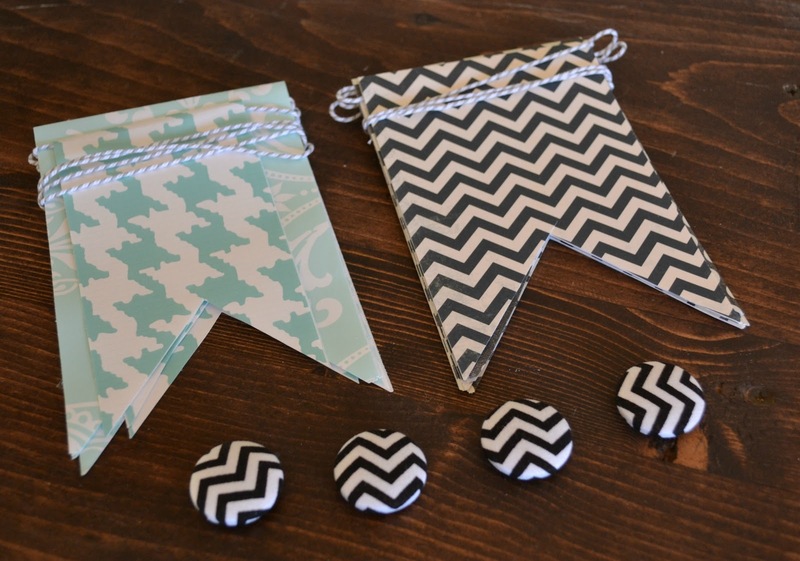 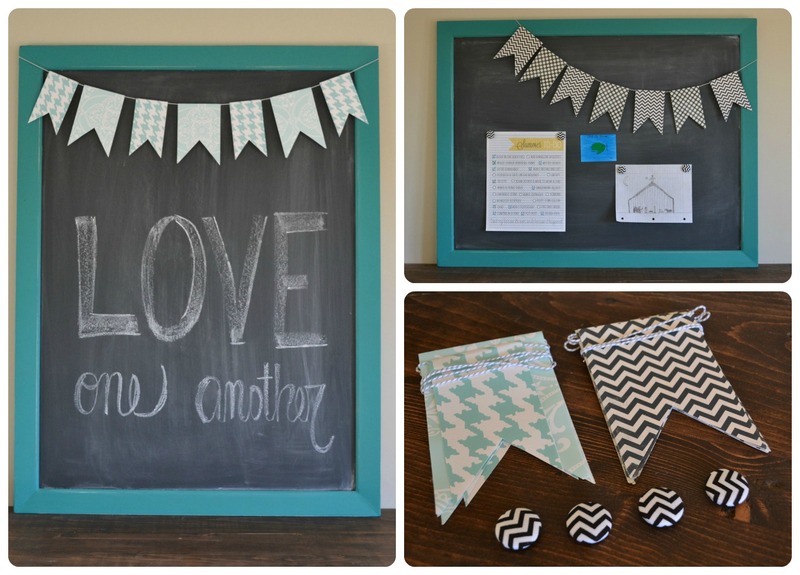 Comes with 2 different banners and chevron fabric magnets!